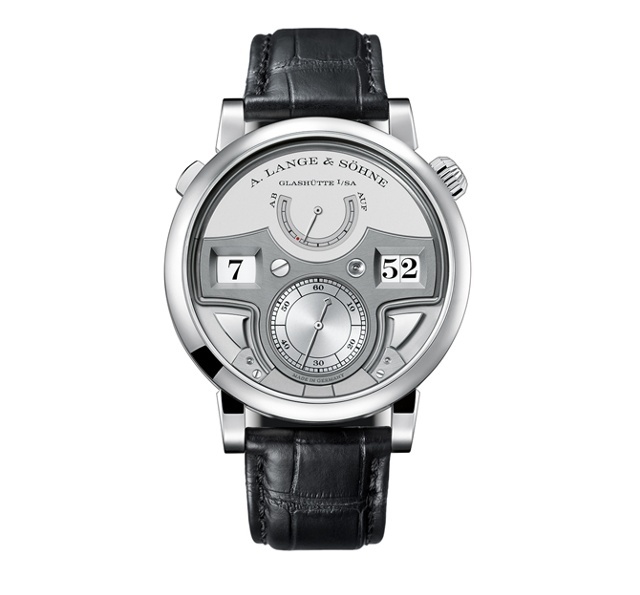 The Zeitwerk Minute Repeater, introduced at the 2015 SIHH, is the first A. Lange & Söhne model with a striking mechanism that tolls the hours, ten-minute intervals and minutes. And the acoustic sequence reproduces the digitally displayed time whenever the striking mechanism is triggered via a pusher in place of a traditional slide. The time, which is displayed with an hour ring and two minute discs instead of hands, is sounded with a low-pitched tone for each elapsed hour, a double tone for each elapsed ten-minute period, and a high-pitched tone for each elapsed minute. Since mechanical conflicts might occur if the owner were to set the time during a chiming sequence, the crown cannot be pulled while the striking mechanism is active, preventing the winding wheel train–including the crown–from turning while the gongs are being struck. Additionally, the switching of the numeral discs is delayed until the chiming sequence has ended, which takes about 20 seconds for the maximum succession of tones at 12:59. 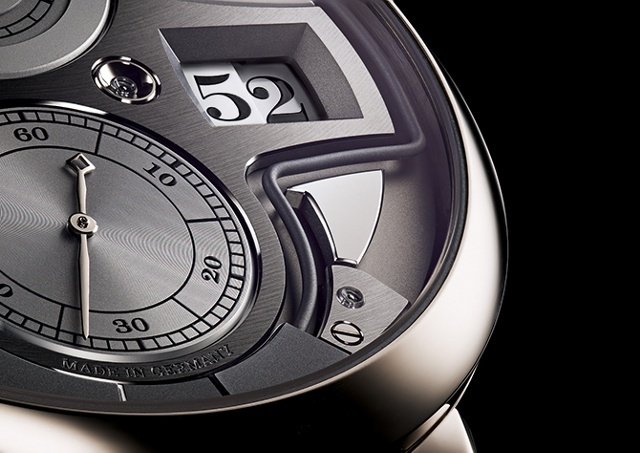 The striking mechanism cannot be activated if the remaining power reserve is less than twelve hours (as identified on the power reserve indicator with a red mark). 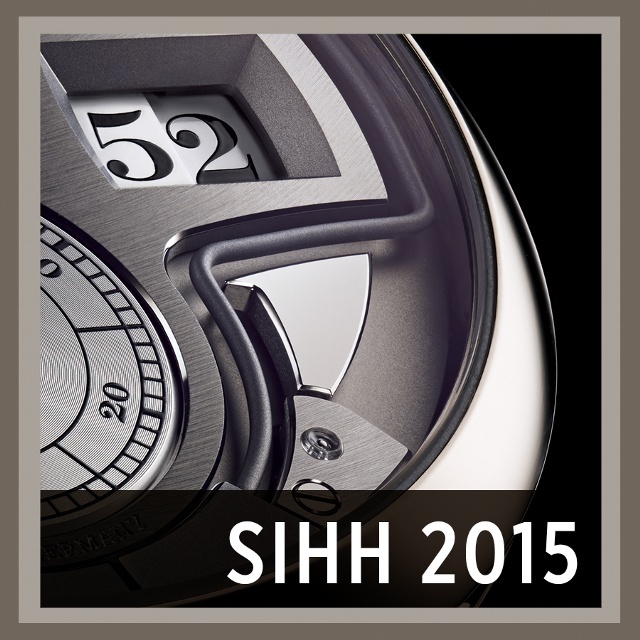 The watch’s 42.4mm platinum case houses the 771-part L043.5 manufacture caliber, which is beautifully hand-finished.